Reserves are financial assets, or money, put aside to fund a company’s legal obligations. These obligations commonly appear in a company’s profit and loss statement, and on its balance sheet. A reserve on an individual claim is an estimate of the total future cost of that claim. Since accountants are not involved in the claims adjusting process, the responsibility for setting a reserve on a particular case falls to the claim department and, more often than not, with the individual claims adjuster. It's the responsibility of the adjuster to analyze the claim and arrive a thoughtful, well-reasoned evaluation of the costs of the claim over time, based on a critical assessment of facts, law, societal and behavioral issues, expectations and experience. Such an evaluation process should not be overly optimistic or pessimistic, and it should be neither long-term nor short-term. The evaluation should be an assessment of the cost of the claim through to its final disposition, however long that shall take. Thus, an evaluation is a calculation of the “ultimate probable cost” of a claim. Does this thought process require a certain degree of “crystal ball” foresight? To some extent, yes! Does it require a high-level of skill in the art of evaluation and reserving? Yes! The responsibility for reserving is, in fact, absolutely critical to the financial well-being and security of the carrier or self-insured employer, and the accuracy and adequacy of a company’s workers’ compensation loss reserves are quite dependent on the skills with which it’s assigned adjusters evaluate and establish those reserves. Will the injured worker's disability last two weeks or two years? Will the injured worker require surgery? Can the injured worker return to the pre-injury job or will retraining be required? The adjuster must estimate the likelihood of these events and put a price tag on them. Here is where “crystal ball” foresight, and experience, comes into play. Adjusters rarely know the answers to these questions upon receipt of a first report of injury. The likely outcome of the case may change over time. Physicians may make new diagnoses. New physicians may appear. Attorneys may become involved. For these reasons, it is critical that adjusters consider the validity of established reserves every time they pick up and handle a claim. Inexperienced adjusters too often fall into the inexcusable practice of ''stair stepping'' reserves. Perhaps because they fear large numbers, these adjusters set reserves sufficiently to cover only a few payments. Thus, as they increase reserves dozens of times over a given period of time, the reserves may never accurately reflect the ultimate exposure of the claims. This practice of “stair stepping” reserves may cause actuarial projections of a company's present and future financial position to be based on inaccurate data. Adjusters must guard against the tendency to over-reserve small claims and under-reserve the large ones, as management may perceive such adjusters as novices, or worse, as incompetent. Management has the right to expect, indeed demand, that the reserves on each adjuster's cases are at least the best estimate of the total future cost of all benefits and expenses. Adjusters also must monitor events as they take place and calculate their likely impact on the future cost of the claim. Let us assume an adjuster is handling a minor, soft tissue, back injury case. The injured worker is receiving conservative treatment with medication and physical therapy. One day the adjuster receives a request for authorization from a hospital for serious back surgery, such as a laminectomy. Obviously, if approved, the adjuster must increase the medical reserve to cover the hospital's charges. But remember, such a procedure will also generate other costs, such as the surgeon and additional medical providers. It may also increase the period of temporary total disability or result in a permanent impairment such that the injured worker will be eligible for additional disability benefits. Finally, what about the possibility of permanent total disability, particularly with elderly workers or those who have pre-existing conditions or disabilities? Thus, a single telephone call may prompt the adjuster to conduct a complete reevaluation of the case and adjust reserves accordingly. Decreasing reserves is just as important if the original estimate of the total future cost is overstated. Excessive reserves not only adversely impact an insurer's financial position, but they also inaccurately reflect the employer's loss experience, resulting in improperly increased premiums. Some companies dictate that case reserves should reflect a “projected” settlement value, not the ultimate payout. Unfortunately, this practice usually results in adverse loss development because of the projections are too optimistic. Catastrophic or lifetime disability cases, such as paraplegia, are easily recognized but can be difficult to reserve since most adjusters' experience with them is infrequent. Indemnity reserves are not too difficult to estimate. The first step is to estimate the injured worker's life expectancy. Once determined, simply multiply the compensation rate by the number of weeks of life expectancy. Be sure to use the most current life expectancy tables and check the tables for differences in life expectancy between males and females and also among races. In Florida, do not forget to include an additional amount for the cost of living increase known as the PTD Supplemental Benefit. Also, remember the standard tables are based on the life expectancy of relatively healthy persons of a given age. By definition, the injured worker is not a normal, healthy person, so carefully examine the medical records. Find out if the results of the injury, or unrelated medical or lifestyle problems, might produce a reduction in life expectancy. Since the impact of these factors is not always obvious, and is likely to be beyond the expertise of an adjuster, a medical consultant may be helpful. Reserving medical benefits for lifetime care can be difficult. It is important to remember that as most injured workers heal, medical costs go down. Likewise, even in cases of extended disability, once the injured worker is released from care or returns to a [somewhat] normal lifestyle, or adversity brought on by litigation ends, medical treatment will decrease. As such, future utilization of medical care, and the costs associated therewith, should rarely be evaluated via a “straight-line” or level equation, but alternatively, according to a decreasing scale. In other more serious or complex cases, “average annual” costs may indeed continue indefinitely, and may even increase as workers get older or the injurious condition deteriorates. For these, a life-care plan prepared by a medical consultant may be necessary. © Copyright 2009 Matthew Bender & Company, Inc., a member of the LexisNexis Group. All rights reserved. 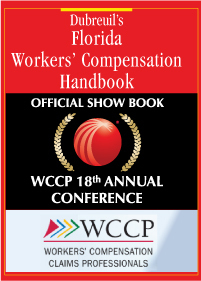 This blog was excerpted from Dubreuil's Florida Workers' Compensation Handbook, 2009 Edition (to be published August 2009), Ch. 11, Reserves (2009 updates by WCCP).